ZW HR Survey reveals Health Benefits and Flexible Work Arrangements Are Top Most Desirable Benefits in China in 2017. Shanghai, Feb 21st 2017 – ZW HR Consulting, a leading headhunting firm has published a report on employees’ most desirable benefits in China. 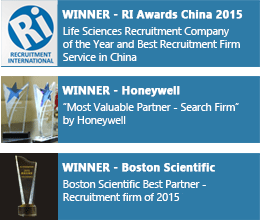 The survey findings have been drawn from the views of HR professionals from more than 1500 organizations in China. Most employers agreed that employees are crucial to the success of a business. Therefore, finding an employee benefits package that helps to reward and retain these employees should be a priority. Over the years, employers have increased and decreased benefits strategically in response to the needs of their workplace and employees, as well as to economic and technological changes. Many employers have shifted towards monetary bonuses over the past few years to keep the overall payroll costs stable. However, there’s a consistent need for fringe benefits among employees. With more than a third of survey respondents of the notion that workplace benefits are some of the most important aspects of a job, according to the survey, including the fact that these perks if included as part of the employee payment packages can be an effective way to boost both engagement and retention. According to the survey conducted by ZW HR Consulting, the majority of HR professionals stated that their employees would prefer health and insurance benefits, followed closely by flexible working arrangements and increased annual leave. Aside from health insurance, flexible working arrangements and increased annual leave, the survey also highlights the Chinese workforce are continuing to move away from being focused purely on the economic benefits an employer offers. Child Care Allowance and Gym Membership. Implementing a flexible employee benefits scheme that is targeted to workforce’s needs, helps to strengthen employee engagement, motivation and productivity.